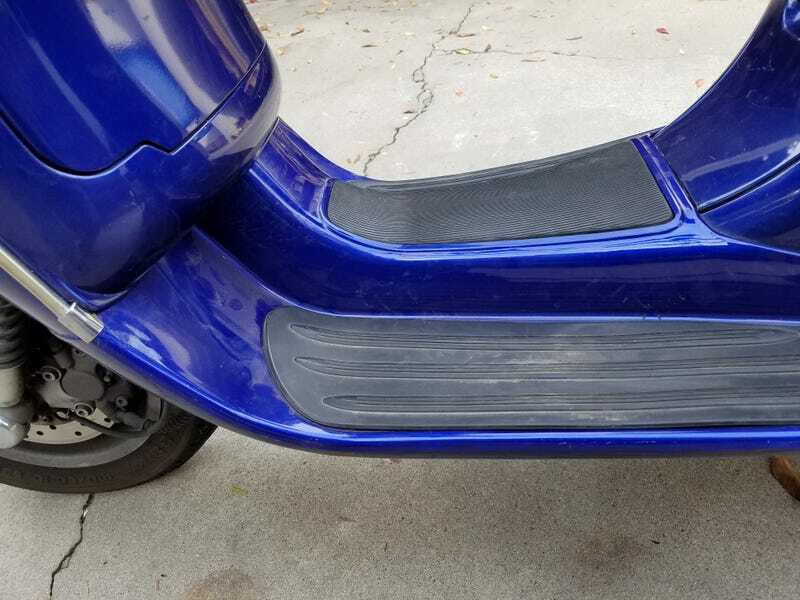 When I bought my Vespa, the plastic floorboard was heavily damaged from being dropped. The prior owner had bought a replacement, but never installed it, so he gave it to me. I did the replacement today and I think it looks pretty good. It has a little damage that you can’t see because it is covered, so overall I am happy. It is better than trying to shop today.